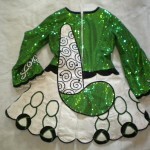 Shamrock green sequined bodice and sleeves with a white panel skirt. 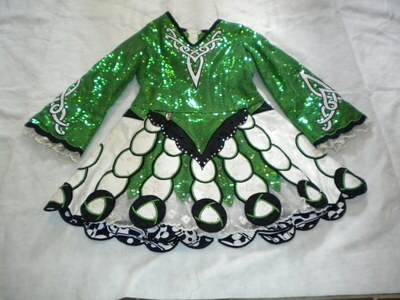 The skirt has a white lace mock tutu that is visible from the front only. 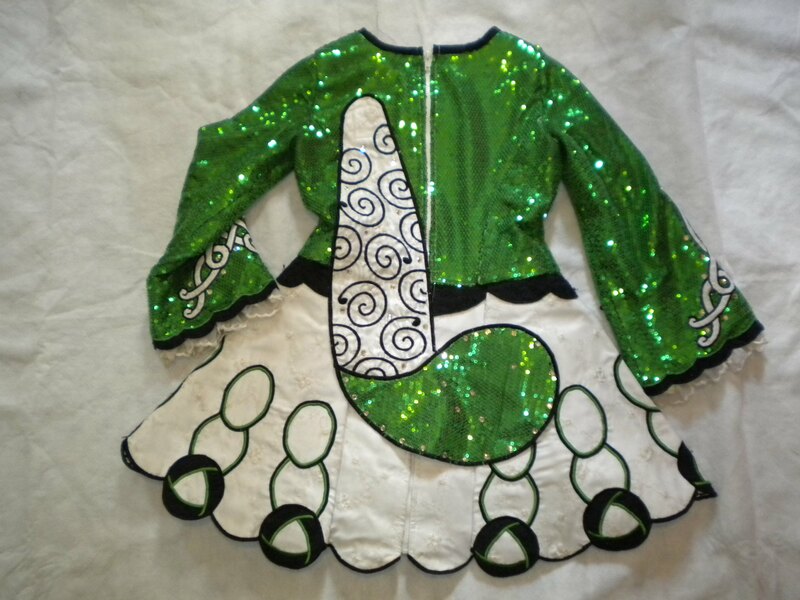 This dress has beautiful stage presence.